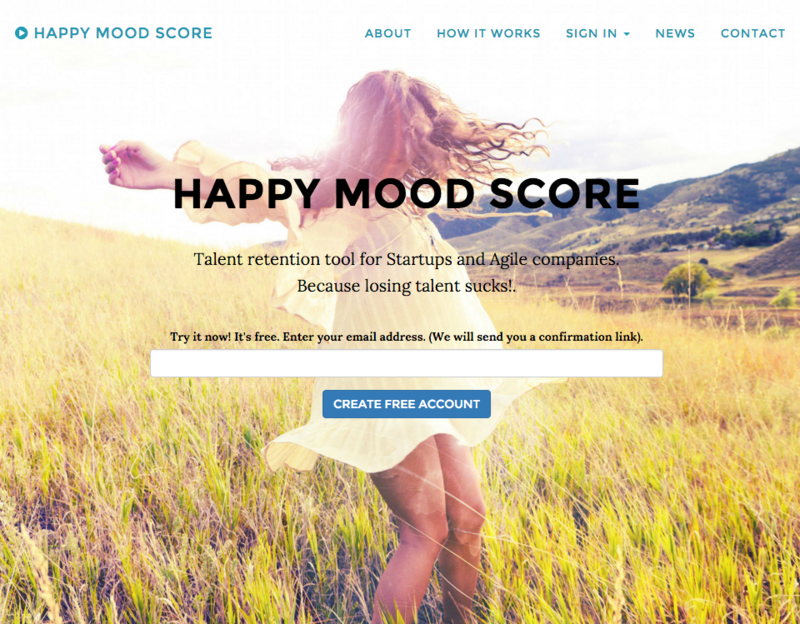 We are about to release Happy Mood Score version 2. It is almost 2 years since we started working on the initial idea and about 6 months since we launched our M.V.P. (minimum viable product). The market is validating our idea. There is a need for an agile and easy to use team management application, specially for remote and distributed teams. There are some other good team management tools out there but they are based on long assessment forms full of questions. Our aim is simplicity. Let’s focus on create the application our customers envision not the one we envision. Now it’s when the time and effort invested in launching an MVP is paying off. We have a lot of suggestions for improvements, new features, feedback and we’ve been trying to address all of them in our new version without losing our focus on easy of use. Number two is an important lesson to us because we originally created the tool focused on talent retention. This is our current homepage (will be gone in 1 month). The new version has change the focus and now our goal is to build the easiest tool for team management. It’s a change that makes a lot of sense. Team management includes talent retention so what was our main goal is still there only merged into a bigger one. The M.V.P. does a very good job helping team managers do their job and now this new version improves it significantly. This is a quick summary of the main tools you will find in version 2. The release of the new version is expected for the first two weeks of December 2015. Create a free account and spend less time managing your team and more time improving it.